Optimising your images is one the key skills to learn if you run your own website. 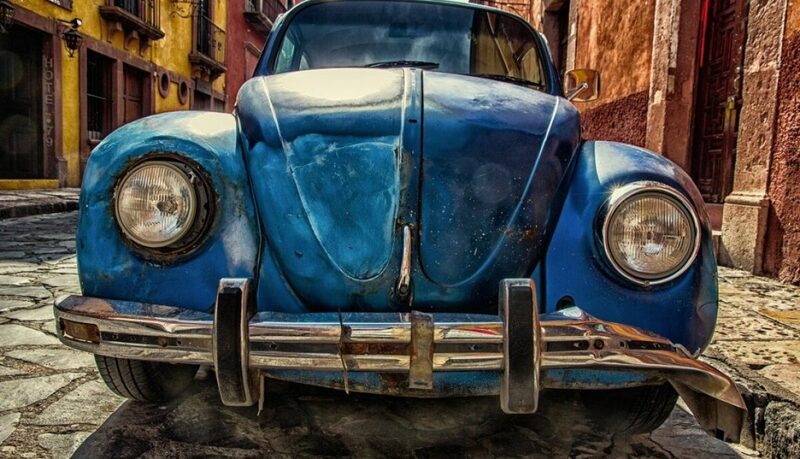 Large or heavy images are one of the main causes of a sluggish website. Page-loading speed has been a ranking signal for some time now, and it will ironically, only continue to weigh more heavily in the ranking mix going forward. Of course, this is easy if you have Photoshop, which is little pricey, or something like GIMP, which is free but still requires a bit of study time to master. However, even without these professional image editor tools, correctly sizing an image need not be a headache. Okay, so let’s first talk about what needs to be re-sized. Two things. 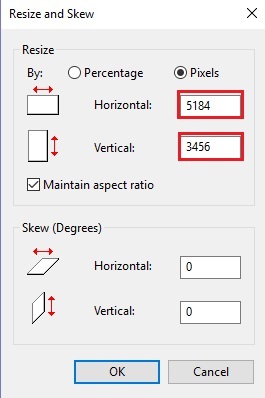 An image’s dimensions, it’s width and height dimensions to be exact. These are typically measured in pixels (px). An image’s file size, measured in kilobytes (KB) or megabytes (MB). These two specs are related and changing the dimensions of an image changes the file size. If you reduce an image’s dimensions (making it smaller), it stands to reason that the file size will also decrease. What’s an ideal file size? Anything between 200KB – 400KB. Obviously, larger images will be nearer the 400KB mark and smaller images nearer the 200KB mark. Larger images used in a gallery or portfolio, or as a featured image for a blog post. For this, you should use images that are no bigger than 1200px wide by 800px high. Smaller images used in the content of a blog, to break up blocks of text. For this, you should aim for no wider than 300px (height isn’t as important). Typically, an image that comes out of your camera is much larger than this. These images can be as big as 6000px wide and 4000px high (weighing anything between 1-10MB). Images you download from Pixabay won’t be as big but they will be larger than the recommended specs. 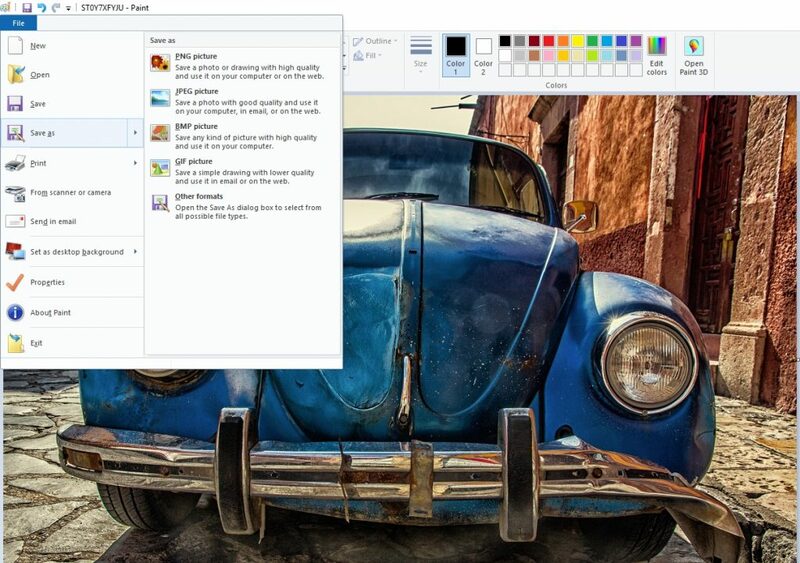 There are any number of free and easy-to-use image editor tools. Microsoft users have Microsoft Paint on hand. 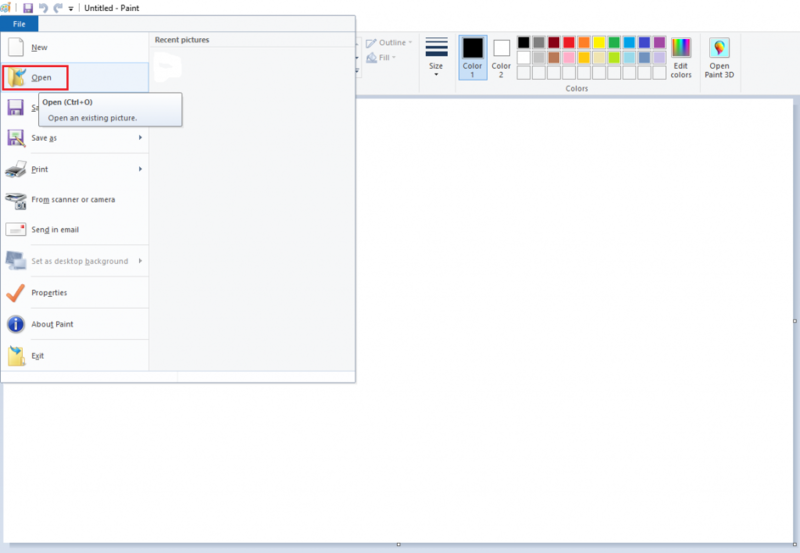 Follow this quick tutorial to locate and open Paint in Windows. 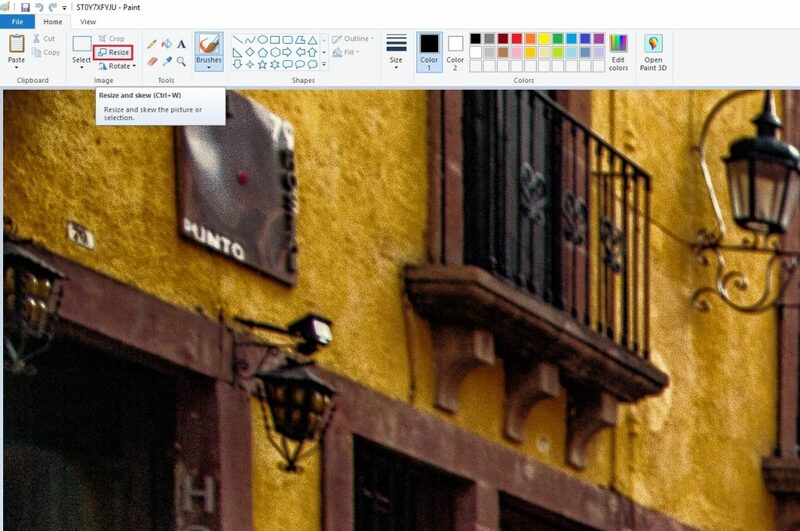 I’m going to show you how to resize an image using Microsoft Paint, but the steps apply to any image editor. Select File → Open and browse for the image you want from your computer. I’ve opened a very big image to demonstrate. Its dimensions are 5184px by 3456px and its file size is a whopping 7.8MB. What do I do? I click the Resize button. You can simply edit these fields. 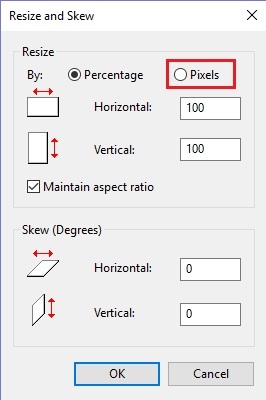 Make sure the “maintain aspect ratio” checkbox remains ticked or you’ll distort the image. I changed the Width (or Horizontal field) to 1200px. The Height (or Vertical field) automatically changed to 800px (because the original image happened to have the same ratio 1:5 : 1). In some cases, you’ll need to crop the image using the Crop function to get the height you require. Now, click the OK button. Both the image’s dimensions and file size are reduced. 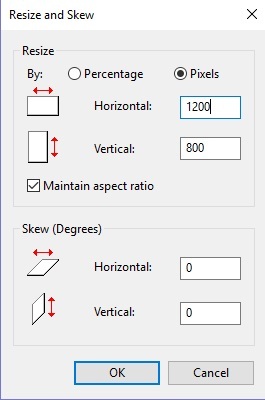 The dimensions we know are now 1200px by 800px (because we set them), but the file size depends on whether you save the image as a JPEG or a PNG. 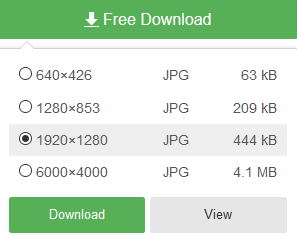 Typically, JPEG saves the image in a smaller size than PNG, but not every time. It all depends on factors beyond the scope of this article. The bottom line is that you’ll often need to save the image in both formats to compare. Select File → Save as and save in both PNG and JPEG formats. For this image, the JPEG file size is 533KB and the PNG is 2.8MB. While the dimensions are perfect (1200px by 800px), both sizes are still too big. Remember, we’re aim for anything between 200KB and 400KB. In this case, there is another step involved. 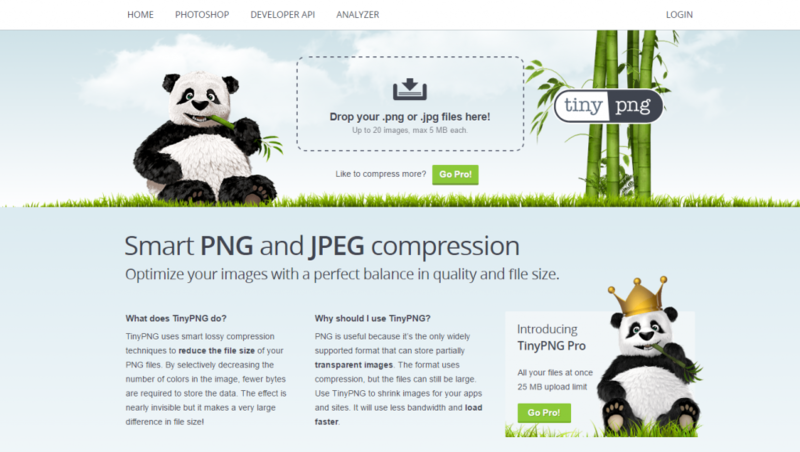 Step 3 – Use the Power of TinyPNG. Head over to the wonder that is TinyPNG (and bookmark the spot for frequent use). Then simply drag and drop your images into the “compressor” and watch your images shed those kilobytes. Download the compressed image when it’s done. 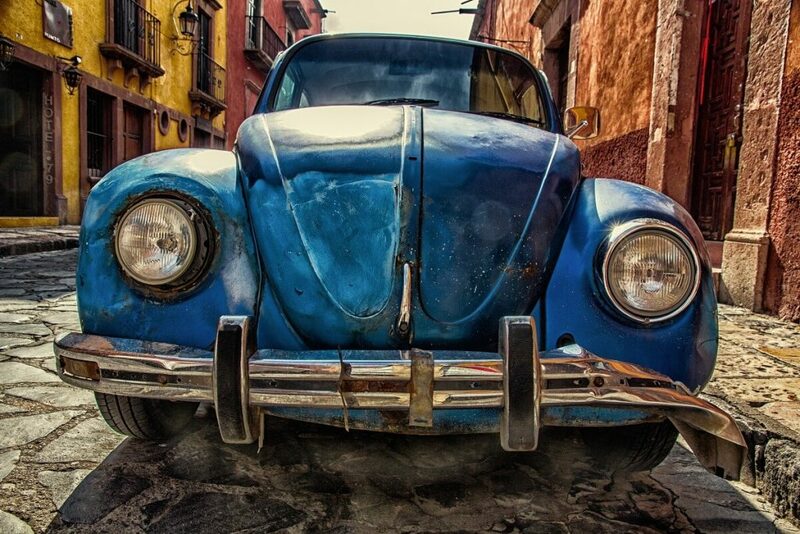 You’ll often see up to 80% of your image weight saved with rarely a loss in quality. 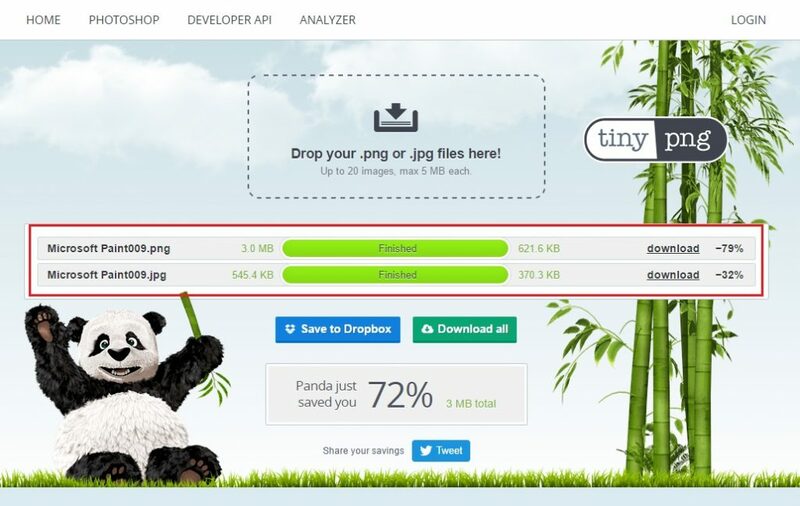 …the Panda got all happy and I shed 79% off the PNG version and 32% off the JPEG. Yay! After a while, you’ll start to get a feel for how images work. If you’re using your own camera, you’ll get to grips with how big the raw images are, and how they respond to Paint and TinyPNG. And if you’re using Pixabay, you’ll learn how to pick the image specs that suit you (from the 3-4 options they provide). Pixabay usually gives you up to four different options. For every image? Yes. Every image. 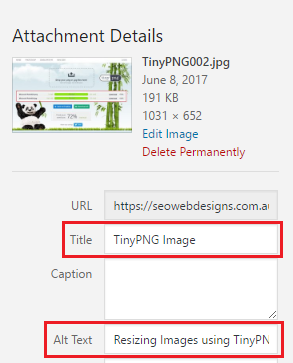 And … at least one image per Page or Post should also include your keyword phrase in the Image Title and Image Alt-text field. How many? At least one. 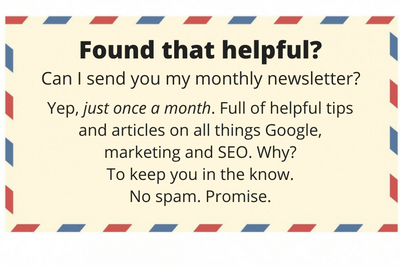 Don’t stuff your keyword in every image. Am I done? Absolutely. For this image, at least.